Wennerstrom is certainly most well known for being the front woman for Heartless Bastards, where she's been the only constant member and has steered the Austin, Texas garage rock band through five really strong albums. On her first solo album, Wennerstrom brings along all the things we love about her full band work: blues, rock, loud grit, and, of course, her inimitable, expressive and gravelly vocals. 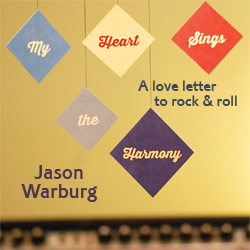 While Heartless Bastards has been on hiatus, Wennerstrom has been doing some soul searching, and that's quite evident with the songs here that often points towards self-discovery and self-reliance. Together with members of Okkervill River, My Morning Jacket, as well as Heartless Bastards, Wennerstrom finds new heights as an artist on this unbelievably stunning album. “Twisted Highway” starts off with some dense ambiance, before strong guitar work and thumping percussion lead into a loud, passionate rocker where distortion and reverb are used in the best ways. “Extraordinary Love” then veers into space rock that's rich with textures before the more sparse and acoustic rooted “Letting Go,” which might be the best Americana tune in recent history due to the warm melody and sweet and rugged vocals guiding us. The album highlight is “Time,” which brings an orchestral backdrop to another Americana-influenced gem, and this time it's even better with Wennerstrom's voice reaching new melodic highs. The second half of the album shines well, too, with the pretty and introspective “Be Good To Yourself” and the softer, cautious rock of “Staring Out The Window.” “Good To Be Alone” continues the calmer, contemplative back half of the album, and “Like A Bird” also focuses on acoustic guitars and her strong, unwavering vocal work. Though there's only nine tunes here, the album lasts an hour, and there isn't a second that's not powerful, heartfelt, and emotional. While we certainly don't want Heartless Bastards to call it quits anytime soon, if it means we get more solo work from Wennerstrom, well, then, I guess I'm okay with that. © 2018 Tom Haugen and The Daily Vault. All rights reserved. Review or any portion may not be reproduced without written permission. Cover art is the intellectual property of Partisan Records, and is used for informational purposes only.